Stress is an ancient adult burden, which is why the ancient arts of Tai Chi and Qigong have so successfully relieved countless adults and seniors of that burden. Re-focus, re-energize and rebound from the hard knocks of modern times with the gentle, relaxing movements of Tai Chi and Qigong. 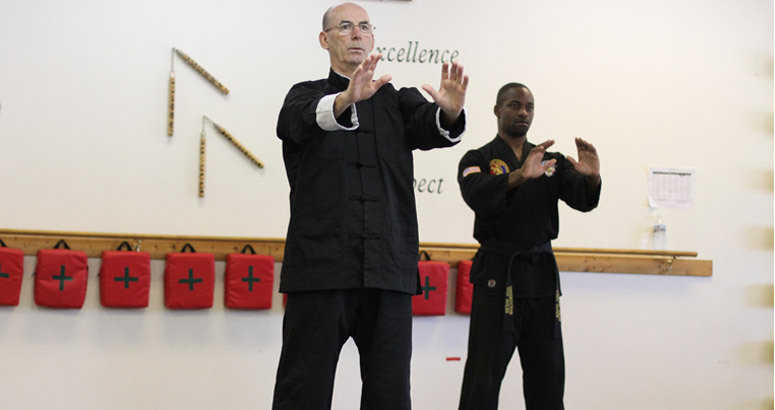 Our Tai Chi and Qigong classes are the perfect complement to other physical activities or medical therapies because they increase blood flow, oxygenate blood and improve breathing. Tai Chi and Qigong are easy on the joints and organs and clear the mind for better concentration. A recent review of 47 studies published in the Archives of Internal Medicine suggested that T’ai Chi and Chi Kung can lower blood pressure; increase flexibility, strength, and balance; and decrease stress, anxiety, and depression. Please check back soon for testimonials for this program!